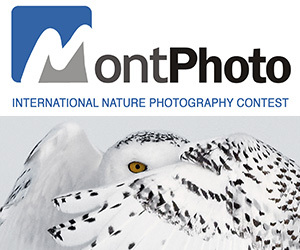 Oasis magazine and AITN group present Oasis Photo Contest 2013, the international award dedicated to nature and wildlife photography, for amateur and professional photographers from all around the world. Children are also welcome to participate (with the agreement of a parent) in the special sections for kids. The jury will select and classify the best works at its sole discretion. The jury will focus on the pieces that contain technical, environmentalist and natural relevance. Photos that present technical deficiencies will receive negative feedback, in spite of their natural value. ADULTS: The Adults category is divided into 10 themes. This division is based on photographic techniques and is not on a taxonomic subdivision. Each section is indicated with a specific letter. P) LANDSCAPES :It’s the images that represent natural habitats. They can be either intact (free of any sign of human presence) or partially or totally modified by the photographer. M) MAMMALS: It refers to images that feature mammals in a natural state, it can be wildlife pictures or portraits, with the exception of bats, that should go under Birds. If whales are photographed underwater the image should be submitted in the Underwater section, however if they are photographed overwater the image should be sent under the mammanls section. T) ALL THE OTHER ANIMALS: This section is for all the other species that are not included in the aforementioned sections (P, M, S, A and U.) This section would be for reptiles, amphibians, arthropods, invertebrates, shellfish, annelids, arachnids, insects, myriapods etc. F) STORYBOARD: STORIES TOLD THROUGH PHOTOGRAPHY: It refers to five or more images linked together by a logical sequence. The subject must be developed by a minimum of 5 images and a maximum of 10. The photos can be taken in sequence or in different moments but strictly connected with each other, and they must tell a story about nature, wildlife, ethology or natural environments and territory. S) UNDERWATER PHOTOGRAPHY: Underwater photography is the process of taking photographs under the water with underwater technical equipment. G) PEOPLE: Are the images that show indigenous peoples or tribes and ethnicity all over the world, in particular people living in the wilderness with primal traditions and costumes. V) PLANTS: It‘s for the images that represent flowers, plants, mushrooms, and any subject that belongs to the plan world. A) PETS: The images that represent known domestic animal species, either farm or house animals, can participate in this section. Wild or exotic animals in captivity will not be accepted. R) LIGHTS AND FORMS: It refers to images that depict nature in an artistic light, giving preference to creativity with shapes and colors and light playing, or techniques such as panoramic stitching, panning pushed, posterization, solarization, still-life, etc..
B) BABY: This section is assigned to children that on 12-31-2013 have not reached the age of 14, The participants may submit their works for maximum of 4 images. The subjects can be chosen from any of the topics covered in the category for the Adults. J) JUNIOR: This section is for those that on 12-31-2013 have not yet reached the age of 18. They may submit up to a maximum of 4 images. The subjects can be chosen from any of the topics covered in the category for grown ups. PRIZE DETAILS: Oasis World Best Photography 2013, the author of said image will win Oasis Photo Contest's trophy, and a check for 2,000 euros. First prize: 500 euros or a trip or phototgraphic equipment of the same value. Third place: 100 euros in cash. Photos to be sent in high resolution (300 dpi.) When printed the shorter side must be at least 15 cm (6 inches), or 1800 pixels Not eligible to enter? - Find contest where you are. COPYRIGHT: Rights and ownership of images belong to authors USAGE RIGHTS: Authors authorize oasisphotocontest.com the free use of their submitted photographs for the publishing of the official catalog of the contest, OASIS magazine, Oasisphotocontest.com and Oasisweb.it, for projections during promotional events related to our contest, for the exhibitions of winning photographs that take place at the end of the competition, and for any other need regarding the promotion of Oasis Photo Contest. Authors will be credited every time their images are used.